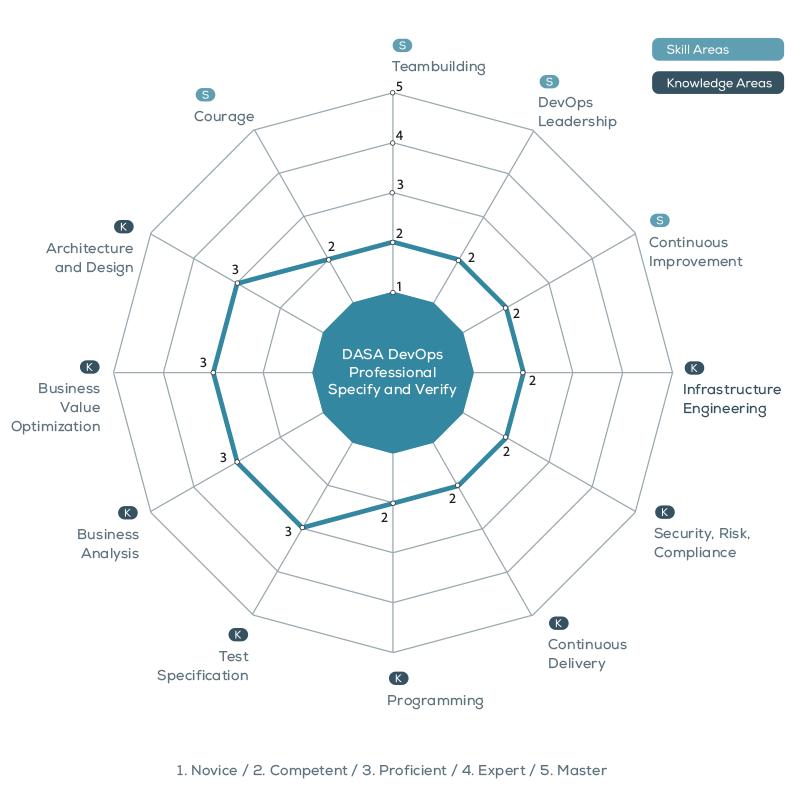 Extends traditional analysis, test, or architecture training courses through its combination and relation with each other, and puts them in a DevOps context. The ultimate goal of any business is to deliver the value that its customers want. Understanding the customers’ needs, communicating these to the team clearly, and ensuring the intended outcome is produced is essential to deliver the required customer value. Recent developments in IT methodologies have given rise to a spate of concepts, such as Agile, Scrum, DevOps, and Lean IT, that has enabled the realization of the customer value more rapidly than traditional methods. DevOps focuses entirely on providing customer value. Specification and Verification constitute the activities performed by a DevOps team that determine and communicate what is valuable within a product, both functionally and non-functionally, from the customers’ perspective and ensuring the delivery of the desired value. Being end-to-end responsible with the whole team to deliver value makes these activities an essential skill set of a DevOps Professional. 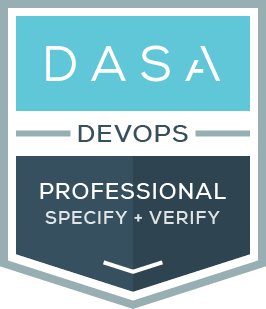 The DASA DevOps Professional – Specify and Verify certification extends traditional analysis, test, or architecture training courses through its combination and relation with each other, and puts them in a DevOps context. As teams start to take on DevOps responsibilities, this course will guide them on how to apply their knowledge in new ways, acquire new methods, and begin with new approaches.  How Does DASA DevOps Professional – Specify and Verify Fit into the DASA Competence model? After completing this course, you will cover the area marked as DevOps Professional – Specify and Verify in the following figure of the DASA certification scheme. As a result, you will reach the “Proficient” level of the scheme. Understand how the tasks covering specification and verification fit into a DevOps environment. Take end-to-end responsibility for your product – from concept to grave. Truly understand your customers and validate whether the product fits their needs. Find good ways to communicate with everyone involved, from customers to stakeholders and developers. Describe and visualize your product in a format that fits your specific situation. Understand what software quality means and how to achieve adequate quality with your product. Decide adequately which kind of tests the product needs, and understand what you gain from them. Set up useful feedback loops, and use them meaningfully. Understand which architectural considerations are important in a DevOps environment. Beneficial: Familiarity with Agile, Scrum, Lean, and basic knowledge of specification and testing.